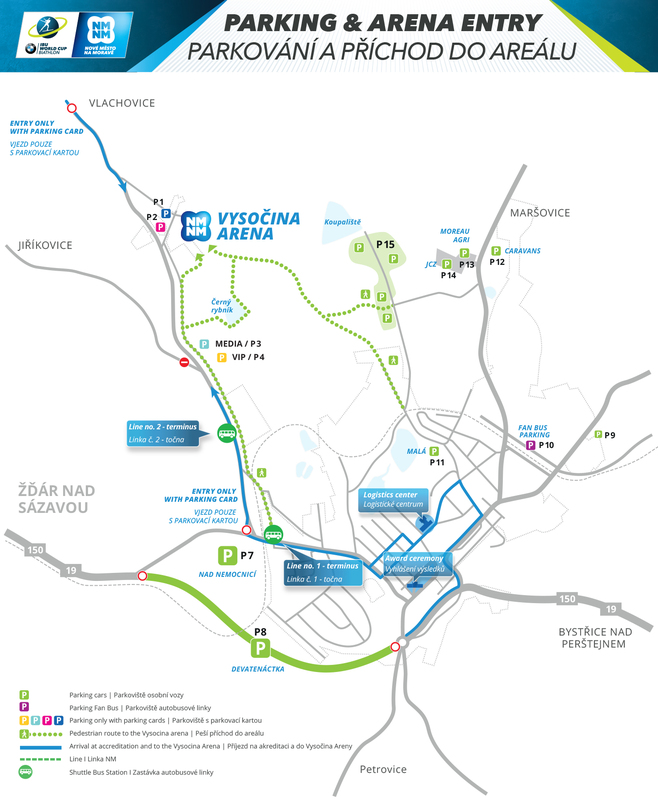 Caravan parking area (P 12) is located in Maršovice village (within walking distance of the Vysočina Arena => 1.5 km). See the plan at the end of the article. The price includes the services listed (including power connection and consumption within the capacity up to 10 A). The price is payable in cash on arrival.